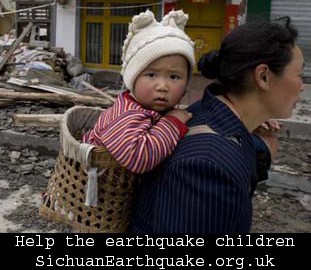 The death toll caused by the Sichuan earthquake is reported to be 15,000 already. The number is still rising. A lot of school children were amongst those tragically killed when their school buildings collapsed acheter viagra.